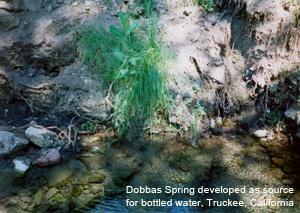 Hydrodynamics developed the private Dobbas Spring source for bottled water sales. We developed and permitted the spring source with the California Food & Drug Administration. A wetland habitat study was completed.